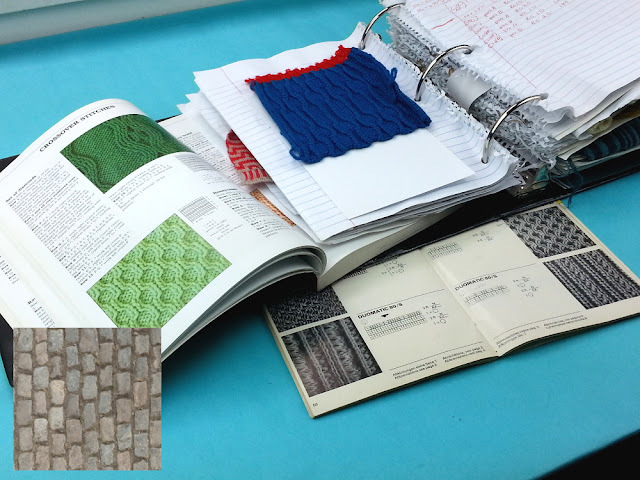 Ever think about how a fabric goes from design idea to actual fabric? Sometimes the path is straight and smooth, and sometimes it's long and bumpy with a few extra turns. Most garment fabrics are made by much larger manufacturers and take a somewhat different route than mine do. 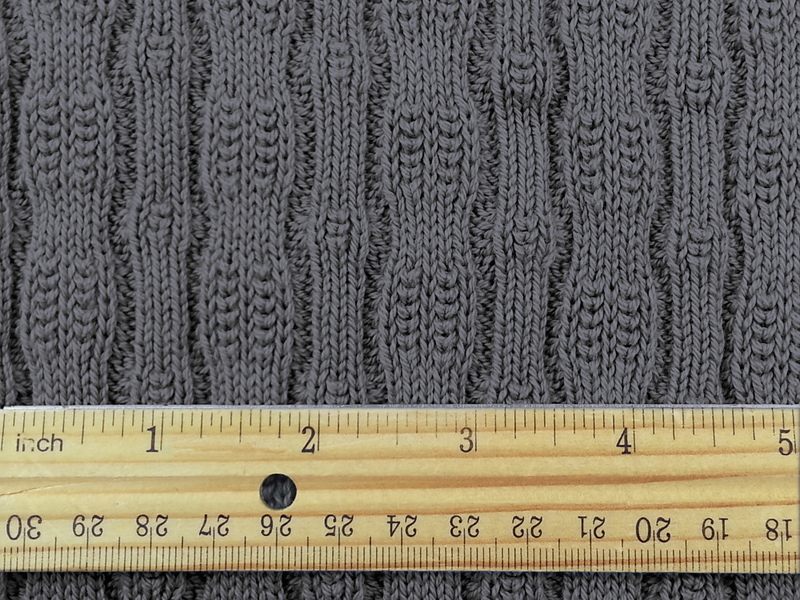 Here's the story of my newest Cobblestone sweater knit fabric in pictures. Next it's time to get to my vintage Passap knitting machine and do some knitting. 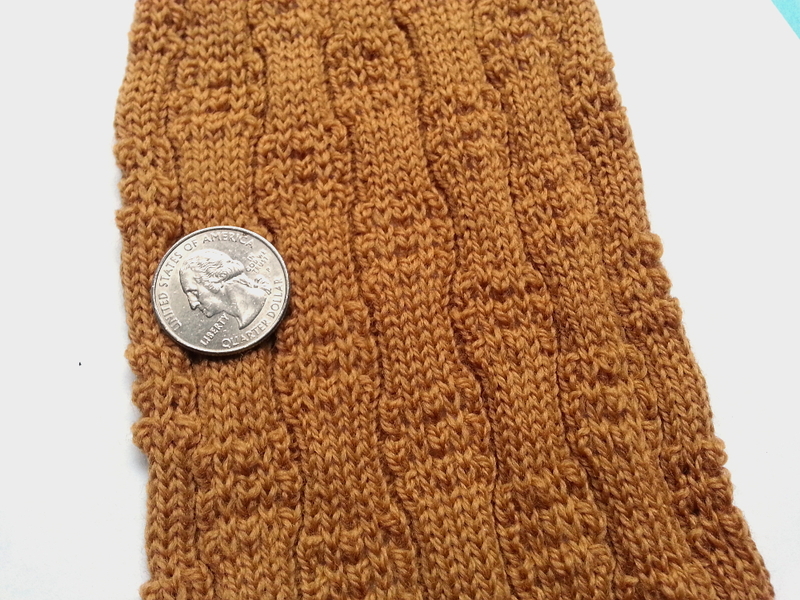 Below are two sides of one swatch where I'm testing yarns and a stitch variations. I originally machine knitted this in mustard colored wool. 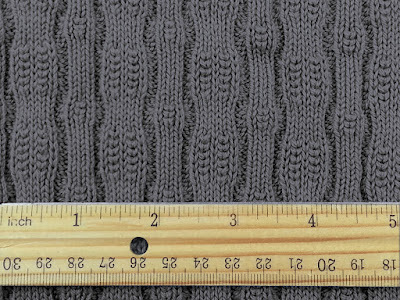 The final stitch pattern alternates the width of the vertical design element. 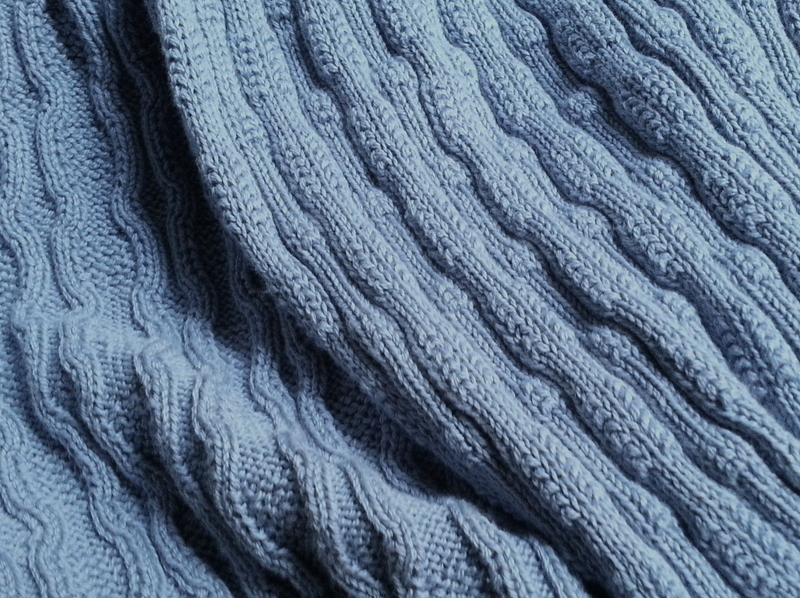 I eventually worked up the pattern in a wonderfully soft, long staple cotton. Fun fact: I originally posted pictures of this early swatch on Instagram asking "Heads or tails? Which would you use as the public side? Just curious." Tails won, 11 to 9. After discussing the project with the people at the family-owned knitting mill I like to work with, I generate and email them the documentation for the fabric. 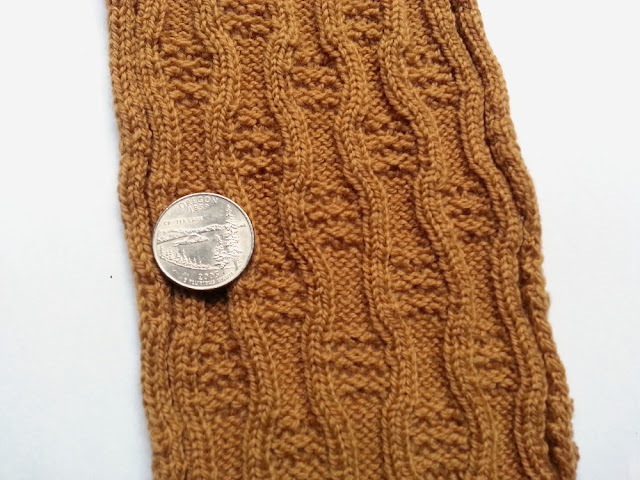 I also snail mail a physical swatch to the mill. Next I make arrangements with the yarn supplier of the gorgeous, dyed Supima cotton yarns to have my yarn order shipped to the knitting mill. 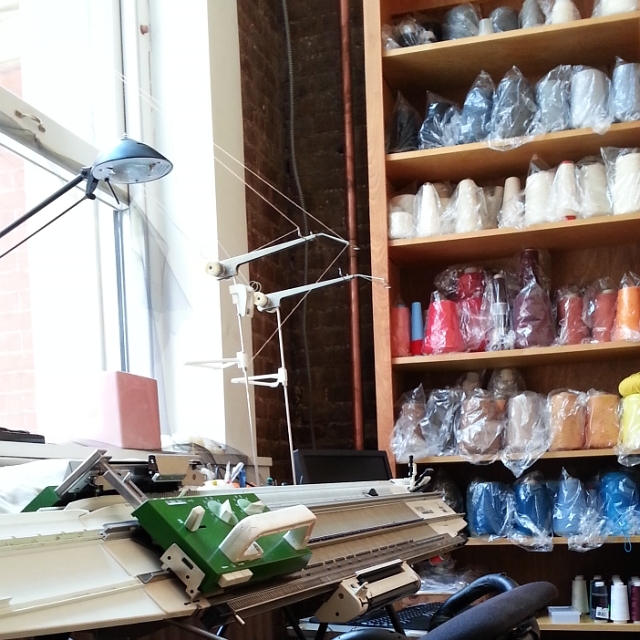 The mill takes delivery of the yarn and sets up my job on a Stoll industrial knitting machine. (With luck and good timing, set up begins right away. Otherwise I need to wait for a machine.) When setup is complete, I get a phone call. The next day I'm able to travel to the mill to inspect the first fabric that comes off the machine and give my approval. This is one of the great advantages of working with a mill that's within commuting distance. This time the entire process has taken a few months. Sometimes it takes just a few weeks, but in the end -- sweater knit fabric! 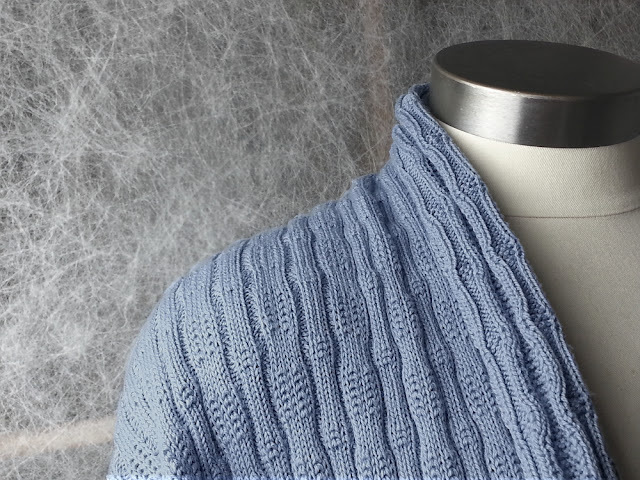 I'm very please to introduce Cobblestone sweater knit, the first dyed cotton fabric that I've carried in the shop, currently available in three colors, cornflower blue, deep gray, and true black. 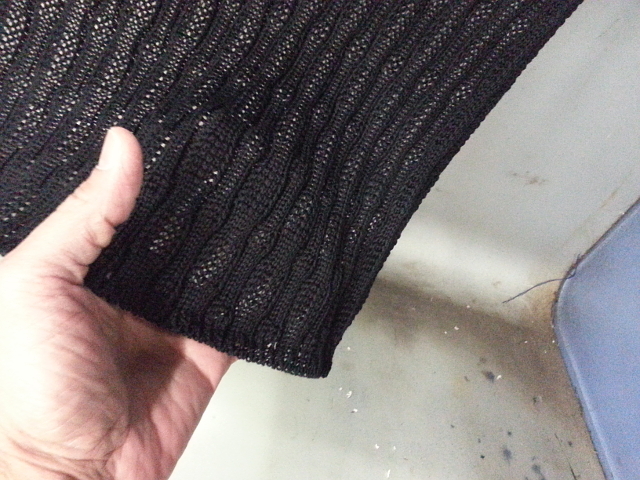 Cobblestone (like 98% percent of the fabric I've carried in the shop from the beginning) is an exclusive. And now with matching rib bands, too! 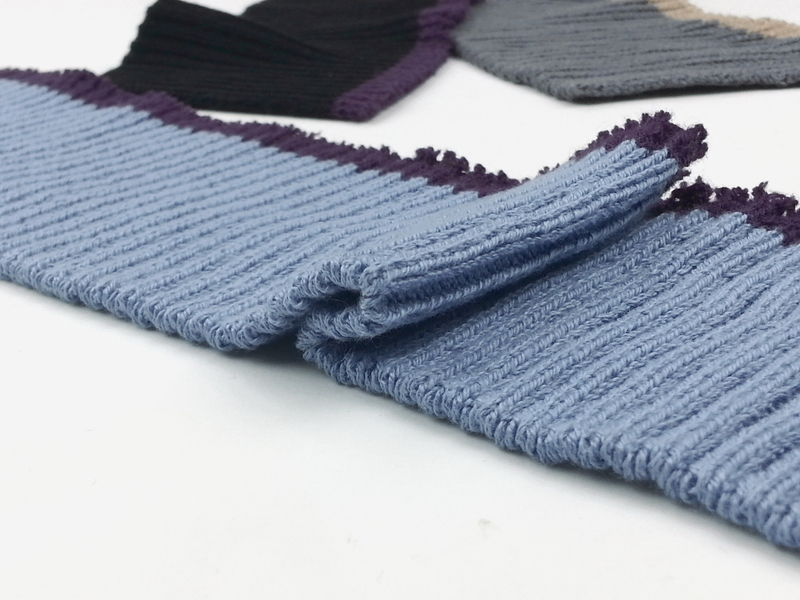 Each band has a finished bottom edge for neckband, hem band, or cuff.